Enjoy knitting this exciting and versatile cowl pattern!!! 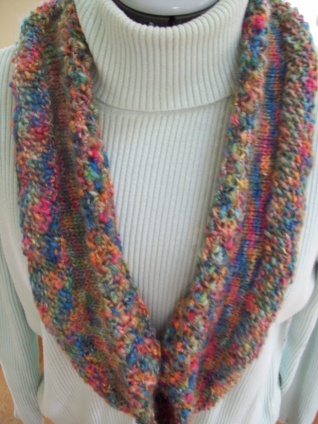 The “String of Pearls" Cowl is knit in the round and consists of 3 different patterns. This is a wonderful accessory that is a quick project. You may want to make several to have on hand to give as gifts. You can double your ‘pearls’ or wear them as a single ‘strand’! The “Twist" Cowl is knit in the round with a twist creating a mobius. 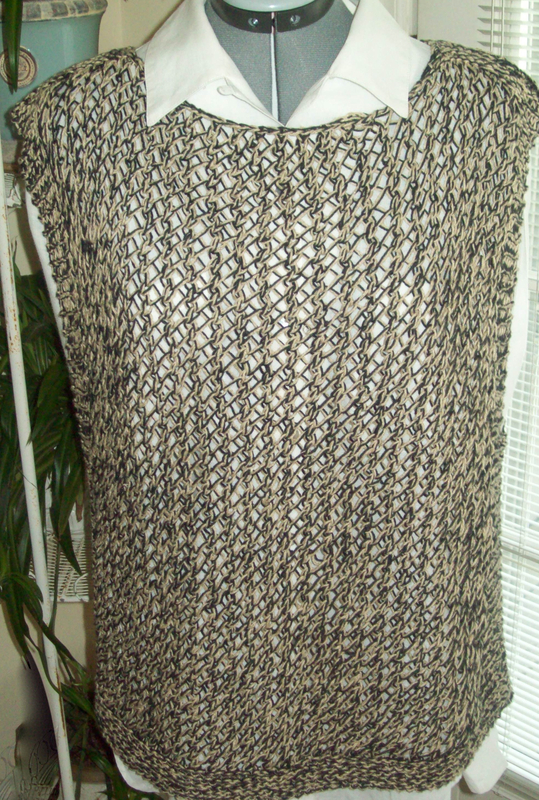 It uses of 3 different pattern stitches and knits up quickly. You may want to make several to have on hand to give as gifts. Enjoy knitting this easy and fun pattern!!! 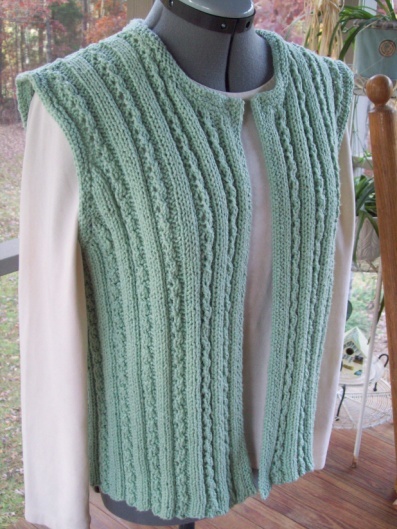 The All Seasons Vest uses a 'Garden Pattern' stitch, a simple four row pattern, to embellish a basic vest. The additional detail and texture added by the 'Garden Pattern' creates a versatile and stylish vest to complete any outfit. Enjoy this sleeveless pullover sweater all year long. The Summer Breeze Sweater looks wonderful under a jacket or all by itself. The roll neck and decorative neck stitches give this sweater a simple and classic design. Enjoy knitting this easy and fun one piece sweater! 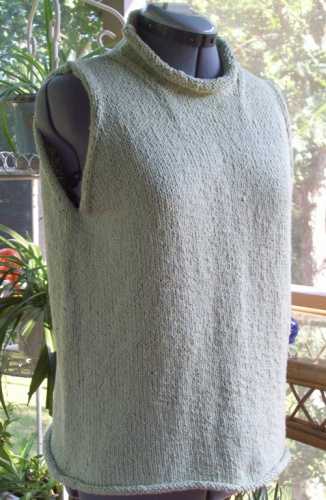 The Key West Wrap is also know as a ‘half sweater’. This wrap is the perfect accessory to add a classic design element to your outfits. 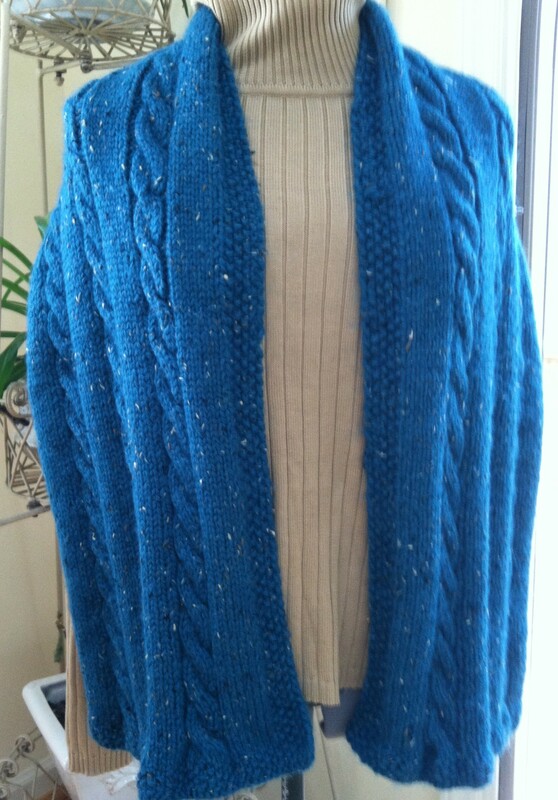 You can easily customize its length and width of this wrap and it can be worked in light, medium or bulky yarn. 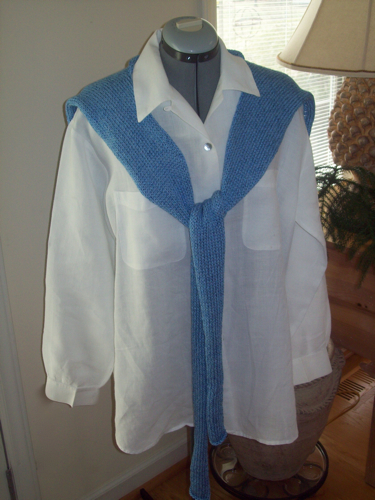 Create a very quick knit pullover, by holding 2 light weight yarns together!!! The Elegant Knit Pullover has an easy to work armhole and neck edging. 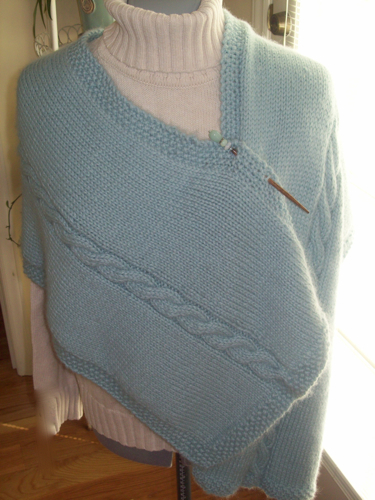 The open weave pattern makes it easy and fast to knit. Pullover has a comfortable loose fit. 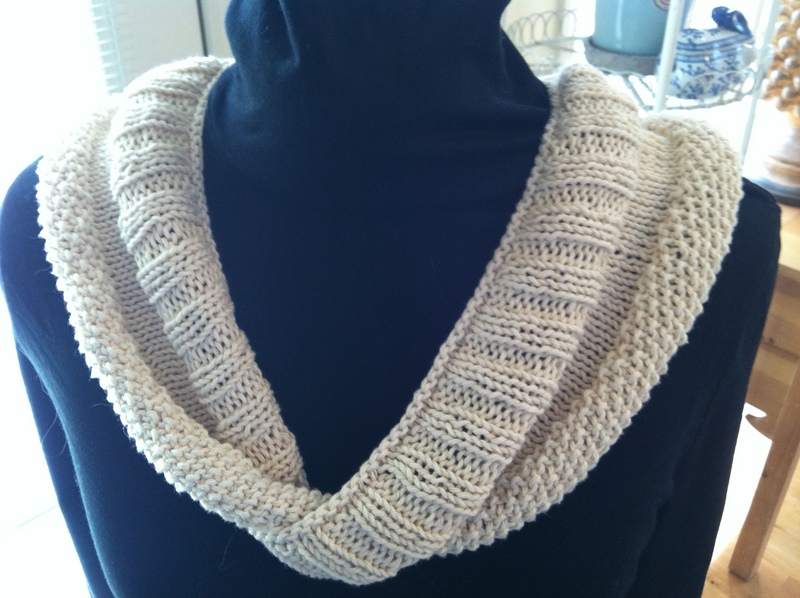 This is a classic wrap that is easy to knit and fun to wear. The Three Button Wrap is worked in stockinette stitch and has a rolled edge. The wrap has three buttons and only one buttonhole which allows you to wear it in several different ways. This is a fun variation on the three button wrap. The One Cable Wrap has a border that prevents rolling at the edges and adds interest. The single cable is easy to work. This is an ideal pattern if you are new to cables. This is another fun variation on the three button wrap. The Three Cable Wrap is a simple and classic design for those who like cables.